This post is text-heavy, and has a lot of pictures. Almost two weeks has passed since #CassieXHollyInPH, but to be honest, I still can't believe the event happened in the first place. I never thought that it would be possible for this particular dream to come true, but somehow, it did. Thank you so much, National Book Store! I still remember the day the event was announced. I remember just bursting into tears and sharing my excitement with all my blogger friends (and even my friends who don't really read), and I immediately started thinking of what to say to Cassie, and which backlist book I wanted signed. Those weeks between the announcement and the signing were so emotional - I kept on crying because I was excited, and because of the disbelief that I'm finally getting to meet my favorite author. I didn't know if I wanted to cry or scream in joy, so I just did both. Heh. Lyra in a nutshell. I'm so lucky to have an incredible friend who was with me every step of the way, and through all the emotions - thank you, Lou, for being so kind and supportive. I'm so happy that we both have had the experience of having our favorite authors come for a local signing! Pretend relationships will always be my favorite trope. I swear - nothing can compare to the main characters pretending that they like each other and then slowly and actually starting to like each other! I love the awkwardness, the forced proximity, and all the fake hugs and kisses, and I love how the characters are then forced to get to know each other to prove to other people that their fake relationship is real. I just can't get enough of this trope! As soon as I saw the blurb for The Stand-In Boyfriend, I may or may have not screeched. A YA contemporary with a fake relationship! I haven't read one in ages. Sign me up! The Stand-In Boyfriend starts with us getting to know our heroine, Livy, and her best friends Sophie and Jessie. Livy has been in love with Jessie since they were children, and she's desperate for Jessie to see her as a girl, and not just as his best friend. They all attend a party, and Livy knows this is her chance to show Jessie what he has been missing. Livy dresses up to impress Jessie, and while there was a moment where Livy thought their relationship was shifting, she later on catches him making out (and more) with his on and off again girlfriend, Courtney. Chase, the most popular boy in school, sees Livy upset and proposes that they pretend to be in a relationship to make Jessie jealous, and to finally convince Abigail, Chase's on and off again girlfriend, to leave him alone. It takes a few weeks and a few awkward encounters, but Livy eventually agrees. I love my fluffy YA contemporaries, and the first half of this book is just that. We have Livy unsure if she wants to take up Chase's offer, and we have so many cute moments between the two of them. A kiss in the middle of the school cafeteria? Yes please! The build up between Chase and Livy is slow and steady, and once we hit the second half of the book, we get all the angst! I normally don't like angst in romance, but in YA, I love angst. The angst is realistic, since teenagers of course make mistakes more than most people, and because all our characters have complicated relationships with each other. Livy and Sophie have a great relationship - Sophie always has Livy's back, and she's encouraging Livy to explore her feelings for Chase. This in turn complicates both Livy and Sophie's friendship with Jessie, who is jealous of Chase. Chase and Livy's fake relationship also causes friction between Chase and Abigail who have always been friends despite their on and off status. And of course, we have Livy and Chase, who start to become good friends themselves. And of course, sooner or later, Livy starts to confuse what's real versus what' not. Ah, our characters certainly do weave a tangled web! I particularly liked how Doherty compared and contrasted how Livy acted with Chase as opposed to how she acted with Jessie. With Chase, Livy is strong. Chase lends her strength, and through his unwavering support, Livy is the best version of herself with him. With Jesse however, Livy is almost a different person. She prioritizes his needs before hers, and she always excuses his laziness and insensitivity. Livy was wearing rose-colored glasses in regards to Jessie throughout the book - I wanted nothing more than for her to see just how much Jessie is taking advantage of her. Jesse was so frustrating to read about, and while Livy thinks of him as a good friend, I was eager for her to see what else is in front of her. 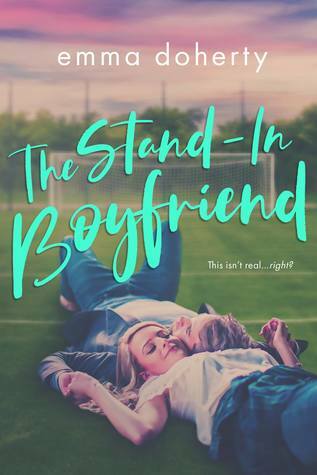 All in all, I enjoyed reading The Stand-In Boyfriend. It didn't hit me until when I was reading it just how much I missed YA contemporary. I miss reading about characters making mistakes and learning from them - which this book had in spades. I also loves the subjects Doherty explored. Other than fake relationships and unrequited love, Doherty also tackled toxic friendships and anxiety, and in doing so, she was able to add a little more depth to the story. 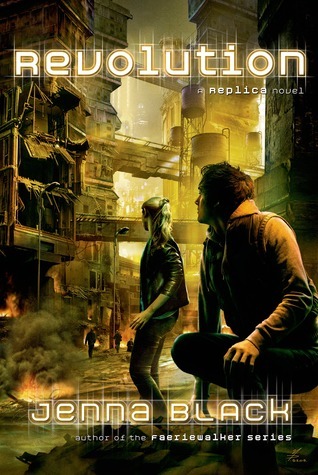 I do think that the ending was a bit rushed, but I guess that's because we have another book in the series. I hope we get more Livy and Chase! 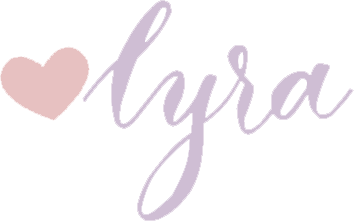 I know I've been talking about me misunderstanding blurbs - wherein I completely misunderstand the direction that the book will take - here on the blog for some time now, and what do you know, today it happens again. 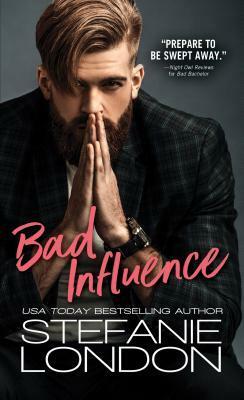 Reading the blurb, Bad Influence sounds like your normal second chance love story (and you all ought to know just how much I love my second chance love stories), and while it is that, it's so much more. To be honest, this is a difficult review to write because I want to do justice to how incredible this book is. So... Without further ado, let me try to do just that. I'm not going to sugarcoat just how painful it is to read the first few chapters of this book. We read about Annie's breakup three years ago, and how life isn't really going that well for her. Annie created an app called Bad Bachelors to help the women of New York navigate their dating lives, and while she only wanted to help, the app has its fair share of harsh critics. Bad Bachelors also caused a fight between Annie and of her best friends, Remi, and from the get go, you feel Annie's crushing loneliness, and how lost she is. And now, as if life couldn't be bad enough, she runs into her ex, Joe - the same ex that broke her heart three years ago. Annie and Joe's breakup was extremely heartbreaking to read. Three years ago, Annie and Joe were supposed to move to Singapore for his job, but after learning that her mom has cancer, Annie opts to stay with her family. Joe accuses Annie of never discussing her decisions with him, and he leaves her for Singapore. The portrayal of the break up is very black and white - Annie didn't do anything wrong, and it was Joe who took things the wrong way. As the story progresses however, we start to learn more about Annie and Joe's relationship, and since we get both their POVs, we learn that things are not as simple as they seem. A relationship, after all, is between two people, and as cliche as it sounds, it takes two to tango. Both Annie and Joe made mistakes, but instead of acknowledging their own mistakes, they blamed each other for how their relationship ended. Their break up is an extremely realistic portrayal of how even the best of relationships can turn sour without open communication and because of too much pride, and when it does, it's very seldom only one person's fault. Annie created Bad Bachelor after she learned of Joe's engagement... and what she wanted to do in a nutshell is to help out women weed out 'bad' men from their lives. Annie had the best of intentions, but unfortunately, there will always be people who use these inventions wrongly. I mean, come on, I doubt Mark Zuckerberg ever envisioned that Facebook will be a hub for fake news. And now, because of the people who used Bad Bachelor this way, Annie finds herself against a hacker who will dox her if she doesn't delete Bad Bachelor. I felt for Annie. She only wanted to help women, and now, she finds herself in danger, and things very much out of her control. I enjoyed reading about Annie examining what Bad Bachelor has become, and what the future for her app is. Before the hacker, Annie has only paid attention to Bad Bachelor's positives, but this issue has forced herself to ponder the negatives, and whether she believes the good outweighs the bad, or vice versa. Throughout her problems with the hacker, Annie trusts only Joe to help her out. And through Joe helping her out, they then navigate what their relationship is now, and whether they think their relationship has a future. Unlike most second chance stories, Annie and Joe are desperate for closure so that they can finally move on with their lives. This is what makes this book such an emotional and heartbreaking read - I've grown used to second chance stories that have one of the main characters sure from the beginning that he/she wants a second chance, and Bad Influence is not that story. It was established pretty early on that Annie and Joe still cared a lot for each other, and that there was still love between them, but its whether or not they have a future that they're unsure about. I believe that this is what makes Bad Influence a compelling read - it went off the script, and in doing, it added more depth to the story. I honest to god cannot recommend Bad Influence enough. The characters are portrayed so realistically, and I personally love books that make me examine how I typically tackle situations, and I got to experience that in Bad Bachelor and so much more. This book is such an emotional read, so multi-layered, and it also holds the honor of being the first book that made me cry this 2019. If I somehow haven't convinced you yet, let me try again - read this book now!